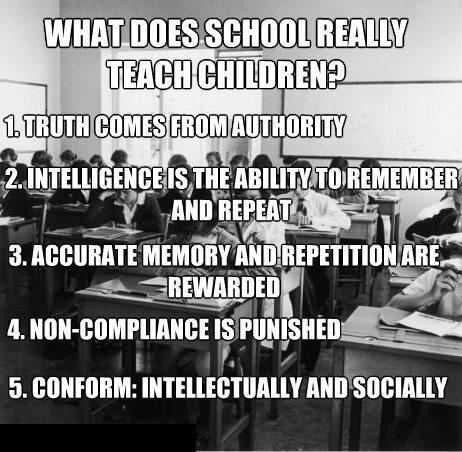 I’m actually looking forward to homeschooling my future children. At this point, I can’t even stomach the thought of sending them to the public school hellhole which I’ve only recently crawled out of. For those of you who are interested, here’s a listing of various countries’ stances on homeschooling. Perhaps you two would want to include this image in a future post? Reblogged this on Thulean Perspective. While we’re on this topic the work of a man named “John Taylor Gatto” is excellent and I suggest to do some research on this topic if you are interested. PS: Anyone else noticed the small smiley at the bottom of the page? I’m from and living in Canada, and I completely agree. 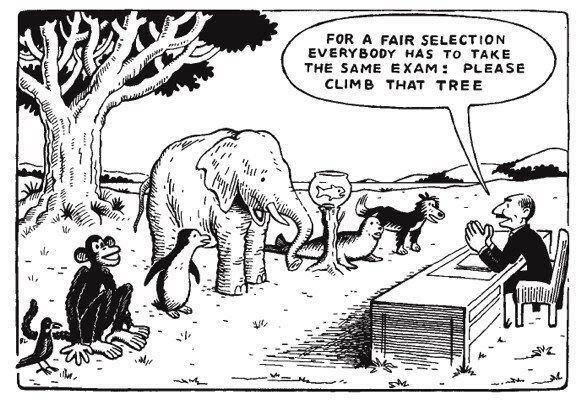 I imagine the Canadian school system is actually much better than other ‘western countries’ like the US and some European countries, but there are lots of faults like this. I’m in university and I just memorize random things, have no idea how or why they are relevant and when I would apply them. And it works, I get good marks. Fortunately for me I care about my mind and my education so I set aside time everyday to work on my own projects and learn ore about my field (Computer Science). I also am friends with a professor who gave me a great opportunity to work with her and actually do real work. I only really support our educational system as it is now because I think it benefits children who do not have parents who will teach them (because they are uneducate, or have to work bad hours, or are drunks etc.) because they at least get some form of education instead of none. But home schooling has a bad reputation and I think that should be changed. Your children in the other post look like they are quite enjoying learning and experiencing things, and that’s the way it should be! You both seem like fantastic parents, it is heart warming that you care so much about this issue that you are writing this new blog. Varg and Marie, I’m curious since you guys have strong opinions about many things, when your children are old enough will you teach them that it’s okay for them to disagree with their parents even if it’s on very fundamental issues you are very opinionated about, and that they should think for themselves and know how to properly evaluate evidence and understand logical fallacies? Of course, as they learn to do that they will more than likely come to the same conclusions about many opinions that we have, but they might also find different opinions on things. I’ll see if I can make a contribution or two here..
I’m kind of shy to comment on this new blog… What are the rules here? What aren’t you allowed to say here? And why didn’t you continue doing your writings in thuleanperspective? I really think MOOC concept is going to revolutionnize home education. Even in France, Bibliothèque Sans Frontières is currently translating the famous Salman Khan’s MOOCs for young children. I am interested to hear more about this topic, so I was quite happy to see you created a new blog dedicated to this. As you probably know, not every country does allow homeschooling currently. Do you have any advice for parents in such countries which could be helpful?